Rynn Berry is the historical advisor to the NAVS (North American Vegetarian Society) and is on the Advisory Board of Earth Save. In his lectures, articles, and books, he has specialized in the study of vegetarianism from an historical perspective. His first book, «The New Vegetarians», was a collection of biographical sketches and interviews of famous contemporary vegetarians. 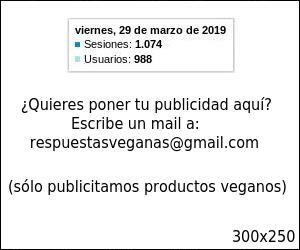 His second book, «Famous Vegetarians and Their Favorite Recipes» is a biographical history of vegetarianism that ranges from Pythagoras and the Buddha to Nobel laureate Isaac Bashevis Singer, the Beatles and beyond. In his new book «Food for the Gods: Vegetarianism and the World's Religions», Rynn has written essays on vegetarianism in each of the world's religions: Jainism, Buddhism, Hinduism, Taoism, Judaism, Christianity and Islam. He has also included conversations with prominent vegetarian thinkers from each of these religions. In the back of the book FFG has collected delicious vegan recipes from each religious tradition. Rynn is also the author of the monograph «Why Hitler Was Not a Vegetarian», which according to Publisher's Weekly «lays to rest the myth that Adolf Hitler was a vegetarian». Rynn contributes frequently to both scholarly and spiritual publications. At the University of Pennsylvania and Columbia, where Rynn did his graduate and undergraduate work, he specialized in ancient history and comparative religion A popular lecturer, in New York, where he lives, Rynn teaches a college course on the history of vegetarianism (the first of its kind in the nation). His hobbies include book collecting, listening to classical music, translating ancient Greek authors, and theater-going; his favorite pastimes include running, swimming, tennis and cycling. With co-authors Chris Suzuki and Barry Litsky, Rynn is also the author of the best-selling restaurant and shopping guide, «The Vegan Guide to New York City». One of the comments often aimed at those such as myself, who write about famous vegetarians of the past --and how many of them were paragons of virtue who practiced non-violence and compassion-- is the following: «But wasn't Hitler a vegetarian?» one such example began when in 1991 I wrote to the New York Times commenting on the vegetarianism of Isaac Bashevis Singer and how this important feature of Singer's life had been glossed over in his recent obituary. I had interviewed Singer for my book «Famous Vegetarians and Their Favorite Recipes» and he had been vehement on the issue of respect for animals. Two weeks later, under the headline: «The Vegetarian Road to World Peace», The Times published a reply to my letter from the well known author and New Yorker essayist, Janet Malcolm. It is worth quoting in full: "Rynn Berry's fine letter about Isaac Bashevis Singer's vegetarianism reminded me of the comment Mr. Singer made at a luncheon to a women who noticed approvingly that he had refused to eat the meat course, and who said that her health had improved when she, too, gave up meat. 'I do it for the health of the chickens,' Mr. Singer said. Following the latest letter on September, 1991, the New York Times published two rejoinders to this question. Under the headline, «Don't Put Hitler Among the Vegetarians», the correspondent (Richard Schwartz, author of Judaism and Vegetarianism ) pointed out that Hitler would occasionally go on vegetarian binges to cure himself of excessive sweatiness and flatulence, but that his main diet was meat-centered. He also cited Robert Payne, Albert Speer, and other well-known Hitler biographers, who mentioned Hitler's predilection for such non-vegetarian foods as Bavarian sausages, ham, liver, and game. Furthermore, it was argued, if Hitler had been a vegetarian, he would not have banned vegetarian organizations in Germany and the occupied countries; nor would he have failed to urge a meatless diet on the German people as a way of coping with Germany's World War II food shortage. Quite a strech indeed! Even as early as 1911, the 11th edition of the Encyclopedia Britannica (one of the most widely consulted reference works) defined vegetarianism as follows "vegetarianism, a comparatively modern word, which came into use about the year 1847, as applied to the use of foods from which fish, flesh and fowl are excluded." So there really is no excuse for an editor of the New York Time writing in the 1930's to be so misinformed as to have called Hitler a vegetarian. 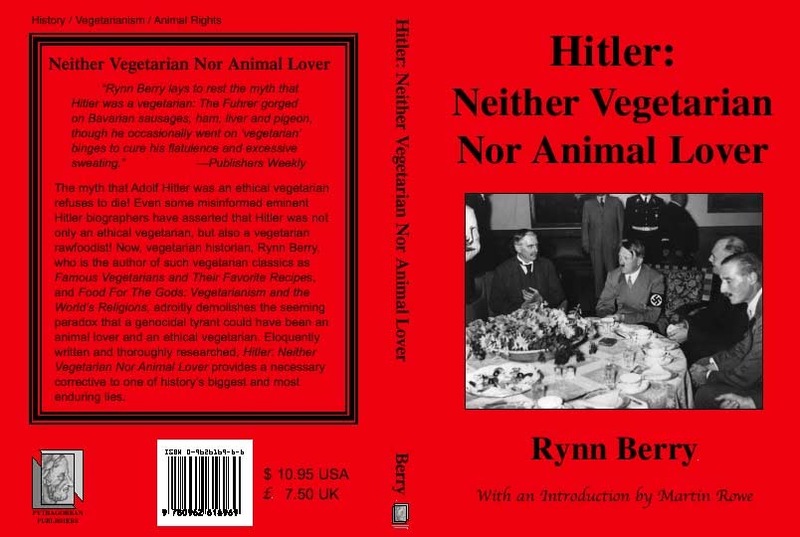 Nevertheless, modern biographers who should also know better, have enshrined the myth that Hitler was a vegetarian simply because they have failed to do their homework in this regard; so their books, while scholarly in other respects, are flawed. Even medical doctors who have penned biographies of Hitler are laughably misinformed about the vegetarian diet that they write about with such an air of pompous authority. To take only the most recent example: Fritz Redlich, MD., in his book Hitler, Diagnosis of A Destructive Prophet, says " Several Hitler associates, amongst them Otto Wagener, reported that Hitler became a vegetarian after the death of his niece Angela (Geli) Raubal in 1931. As a teenager, and young man, Hitler certainly ate meat. He also ate meat during his service in World War I and probably before his imprisonment at Landsberg. Hitler's vegetarianism was quite strict. He praised raw food but did not adhere to a diet of uncooked foods, which was a fad at the time. He avoided any kind of meat, with the exception of an Austrian dish he loved, Leberknodl (liver dumpling)." It's typical that Dr. Redlich doesn't feel called upon to explain how Hitler could be a strict vegetarian and still indulge his passion for liver dumplings! Hitler did not describe himself as a "vegetarian" until 1937. It may have been prompted by an emotional response to the death of his niece who had been in love with him and who may have taken her own life. That at least was the thinking of Hitler's close friend Frau Hess: "He had made such remarks before, and had toyed with the idea of vegetarianism but this time according to Frau Hess, he meant it. From that moment on, Hitler never ate another piece of meat except for liver dumplings." About this passage, which is cited in John Toland's biography of Hitler, Dr. Kalechofsky comments: "This is consistent with other descriptions of Hitler's diet, which always included some form of meat, whether ham, sausages or liver dumplings." Furthermore, one could infer that Hitler was not a true vegetarian from the poor state of his health. In his letter to the Times , Richard Schwartz mentioned that Hitler had suffered from excessive sweatiness and flatulence. Besides those maladies, he also suffered from rotting teeth, acute gastric disorders, hardening of the arteries (a typical meat-eater's disease), a liver ailment, and he had incurable heart disease (progressive coronary sclerosis). His doctors gave him heavy doses of drugs that included a ten per-cent cocaine solution, strychnine-based pills, and injections of pulverized bull's testicles. Certainly, he didn't enjoy the robust health that has come to be associated with vegetarianism; on the contrary, his symptoms were those associated with a heavy intake of animal foods. In the course of doing the fact checking in the Hitler biographical literature, I couldn't help noticing how passionate Hitler was in his denunciation of the evils of tobacco. He said, "'I wouldn't offer a cigar or cigarette to anyone I admired since I would be doing them a bad service. It is universally agreed that non-smokers live longer than smokers. and during sickness have more resistance.' " In fact, he had a standing offer of a gold watch for anyone within his circle who would forswear tobacco. To his mistress, Eva Braun, however, he gave an ultimatum: "'Either give up smoking or me.' " It struck me that if Hitler had been a bona fide vegetarian, he would have been as outspoken against flesh-eating as he was against smoking, but I searched in vain for any such diatribe. Certainly, there was no standing offer of a gold watch for giving up meat-eating; nor did he give Eva Braun the ultimatum "Give up meat-eating or me." "I learned this recipe when I worked as a chef before World War II, in one of the large hotels in Hamburg, Germany. I do not mean to spoil your appetite for stuffed squab, but you might be interested to know that it was a great favorite with Mr. Hitler, who dined at the hotel often. Let us not hold that against a fine recipe though." Almost as revealing as the opening paragraph was the one that followed it: "One of the great nuisances about eating squab is the dozens of tiny bones you must contend with for every morsel of flesh you get. By the time you have finished, your plate looks like a charnel house, you are exhausted, and there is a lingering suspicion that the game was not worth the candle." Seated in his Berlin bunker, gripping the 7.65 Walther pistol that would end his life, Hitler must have echoed Lucas's sentiments as he surveyed the ruins of his Reich--the charnel house that was Europe, the physical and mental exhaustion; and the sense that the game was not worth candle. It's all there--the fall of "the thousand year Reich" in a dish of squab! Hitler is presumed to have died from a self-inflicted gun-shot wound; his mistress, Eva Braun, from a self-administered dose of potassium cyanide. When Hitler had consulted his doctor as to the most efficient method of committing suicide, his doctor recommended that he shoot himself through the temple, and at the same time, bite down on an ampoule of potassium cyanide. It is noteworthy that Hitler, this alleged vegetarian and lover of animals, had no compunction about first testing the cyanide on his dog Blondi. Robert Payne, The Life and Death of Adolf Hitler(New York: Praeger, 1973), pp. 346-7. Roberta Kalechofsky, “Hitler’s Vegetarianism: A Queston of How You Define Vegetarianism,” (Unpublished Essay, 1997). “Vegetarianism,” The Encyclopedia Britannica,1911 ed., 27-28, p. 967. John Toland Adolf Hitler(Garden City: Doubleday, 1976), p. 256. Dione Lucas with Darlene Geis, The Gourmet Cooking School Cookbook (New York: Bernard Geis Associates, 1964), p. 89.